Why move from HostGator to Linode? I’ve been an off and on again customer of HostGator for the past ten years. They have been my go-to company if I needed cheap and reliable web hosting. Recently however I have been thinking about moving all of my sites to a VPS (Virtual Private Server). I’m a geek, and I like to tinker with things, shared hosting accounts don’t allow for that. VPS solutions fall in-between shared web hosting and dedicated servers. It’s exactly what it sounds like, a virtual private server. You get root access to your VPS just like a dedicated server, so you have full control. The difference is the server is virtual so the physical machine housing your VPS is also housing many other virtual servers. This allows for a lower cost to the consumer when compared to a dedicated solution. So I started the hunt for VPS provider. I was looking for a company that met the following criteria. Enter Linode Cloud Hosting. Wait, you just said you wanted a VPS solution. What is Cloud Hosting? This is a great question and if you asked 10 different people to define cloud hosting, you may end up with 12 different explanations. I’m not going to add a 13th but will summarize with this. 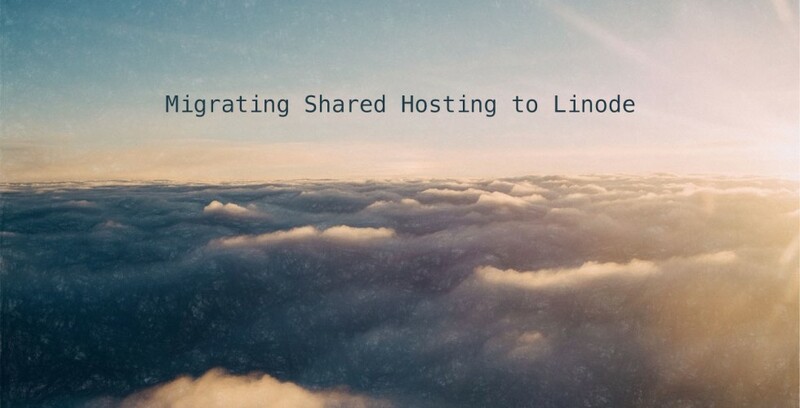 Linode Cloud Hosting provides VPS solutions in the cloud. Cloud hosting comes with two important benefits, scalability, and reliability. These are two of the five criteria in my quest for a new hosting provider. Leaving three left, pricing, cPanel support, and customer service. With HostGator, I was paying $7.99/month for their smallest shared hosting package. This package allowed for only one domain but had “unlimited” storage space and bandwidth. Unlimited storage and bandwidth when it comes to web hosting is a marketing gimmick, in my opinion. I would prefer to know exactly what my available resources are. 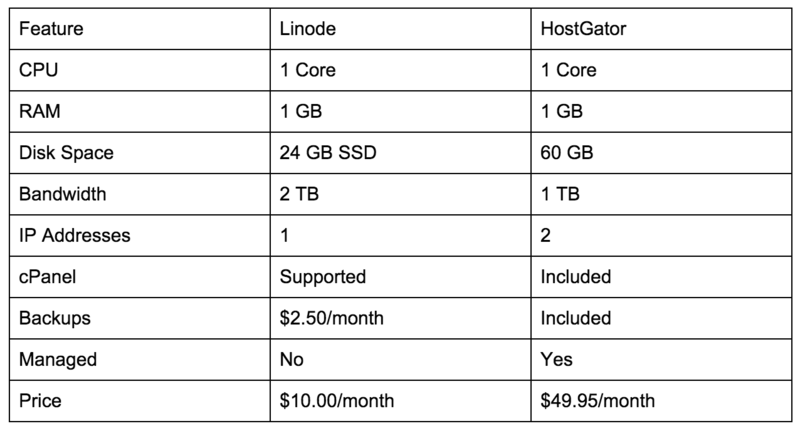 Since I’ve decided I want a VPS hosting solution lets compare VPS pricing of the smallest VPS package from HostGator and Linode. Clearly, there is a bit of a price difference. To use cPanel with Linode I am going to need to purchase a license which is $13.00/month (more on this later). So really the total monthly cost to switch to Linode with backups is $25.50. The big question I had to ask myself was “Can I manage my own VPS, or do I need my provider to manage it for me?” For the few small sites I have, I think I can self-manage my VPS. Depending on your technical ability you may need a managed VPS solution. If I was consulting with a client that had a business site, I would recommend a managed solution. If you think you needed a managed VPS solution check out Site5 or HostGator VPS. For the most part, this WordPress migration guide will apply to any provider. This by far is the most important step when transferring WordPress from one host to another. I cannot stress this enough, back up your current WordPress installation. My preference is to update WordPress to the latest version and update all of my plugins before moving to a new provider. Because of this I actually do two backups. If you do not wish to upgrade to the latest version of WordPress be sure to install the same version on your Linode server. If you are already running the latest version, there is no need for two backups. The site I am going to be moving today is http://www.easyslowcook.com. I am a huge fan of slow cooking and sometimes I will share a good recipe. So let’s get started. 1. Turn off Permalinks – Under “Settings” find “Permalinks” and select the Default option and save the changes. You will need a FTP program to do this. I highly recommend FireZilla and it works on all major platforms. Point your browser to https://filezilla-project.org and click “Download FileZilla Client”. Once the download finishes double-click the installation file and follow the onscreen instructions to complete the installation. Launch FileZilla and you should see a window that looks similar to this. **Tip: The left side or local site is the file browser for your computer. The right side or remote site is the file browser for the server you are connected to. As you can see I created a new directory called Migration. This is where I will store all files for the site migration. Use the file browser on the left side of the screen and locate a logical place to create your own directory. Once you have found where you want to create the directory, right click and select “Create Directory”. Now let’s start downloading some files. Enter your FTP login credentials at the top and click quick connect. If you successfully connect you should see the file manager of the remote site populate with directories and files. Locate the directory public_html, this is the directory that houses everything that is accessible on your website. Generally speaking, people have one of two setups for WordPress. Example 1: http://www.mydomain.com – Opening this address for your domain brings you right to your WordPress installation. Example 2: http://www.mydomain.com/blog – Opening this address brings you to your WordPress installation. Here you have installed WordPress in a directory under your top level directory. If your setup resembles Example 1, right click on public_html and select download. If your setup resembles Example 2, left click on public_html and navigate until you find the directory housing your WordPress files. Once you find it, right-click and download that directory. Once the download completes rename the directory with a naming convention that makes sense to you. I usually go with domain.com-provider-backup#. Now lets backup that ever so important database. Log into cPanel and look for the phpMyAdmin icon, click it. Now click Export (1), Go (2), and your database backup will download (3). Once the download is complete, move the database backup file to the migration project directory we downloaded the previous files to. If you are not updating WordPress or any plugins you can head on down to the next step. Now update your WordPress installation and all plugins that have an update available. WordPress 2.7 introduced one-click updates, which made upgrading extremely easy. So I’m not going to go into details on how to upgrade WordPress. If you are not familiar with the process head over to wpbeginner, they have a good tutorial. After updating WordPress do another backup, this is the backup we will be using for the migration. Your migration directory should look like this if you did two backups. Now that we have everything backed up lets start the fun part of the process. Head over to Linode by clicking here. In the upper right-hand corner of the page click Sign Up. Proceed in creating your Linode account. You will also need to verify your e-mail address and create a billing profile. When creating your billing profile you will be asked to preload your account. Preloading your account with $20 will cover the expense of the Linode 1GB plan for two months. 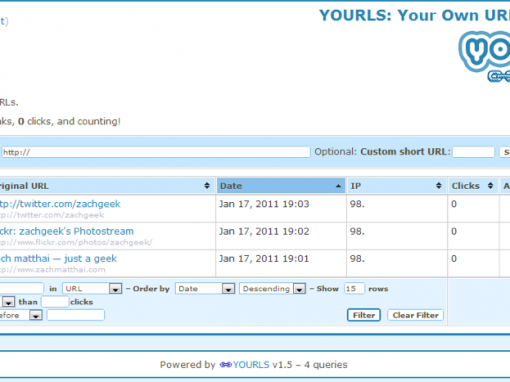 Now you will need to select your plan and the location for your VPS. You probably have an idea of what size Linode your site requires. If not, take a guess. You can easily upgrade/downgrade your account later. As for location, pick one that makes geographic sense to your user base. Example, if 75% of your visitors are from Europe it would be best picking the London, UK option. I am running my Linode from their Dallas, TX location and the uptime and speed has been outstanding. Your Linode manager should look similar to this. If you plan to use the Linode backup system, now would be a good time to enable that option. Remember there is an additional cost for using Linode Backups, which is explained after you click Enable. Now click Dashboard and you will be brought to the control center for your new Linode. Click “Deploy a Linux Distribution”. Select CentOS 6.5 for the distribution and Deployment Disk Size and Swap Disk should populate with default values, leave them as is. Type in your root password and click Deploy. **Tip: Write down your root password. Save yourself the hassle of resetting it in case you forget it. Now you have your Linode initialized. Time to boot it up and install some software. WHM/cPanel makes it fairly easy to manage a VPS. You will need to purchase a license before continuing. You can purchase directly from cPanel($20/month) or buy from a reseller. After doing some research I decided to buy my license from buycpanel.com. They sell the cPanel/WHM VPS Optimized license for $14.95/month. With a coupon code applied at checkout, it comes to $13.00/month and comes with a few freebies. Includes a FREE WHMxtra License! Includes a FREE Attracta SEO tools License! Includes a FREE Resource Monitor License! Includes a FREE Spam Scan License! When purchasing your cPanel license you are going to need the server hostname and IP address. You can find this in your Linode manager under the Remote Access tab. Within a few minutes of placing your order, you will receive your license confirmation e-mail from buycpanel.com. In the mean time you can proceed with the installation of WHM/cPanel. Log into your Linode Manager, click on your Linode which should bring you to the Dashboard view. Click Boot. Now log into your server with Terminal. Click the Remote Access tab in your Linode Manager. Next to SSH Access you should see the command you paste right into terminal. *On your first log in you will be prompted about the authenticity of the host and if you would like to continue, type yes. Once you are logged in switch to the home directory. Now fetch the latest installation files from the cpanel servers. Now start the installation by running the following command (installation takes around 60 minutes). **Tip If you receive an error about not having a fully qualified domain name this is an easy fix and you can change it later. When complete you should see a screen similar to this. Once you receive an e-mail from buycpanel.com notifying you that your order is complete you should run this command in terminal. You can then go to http://verify.cpanel.net/ to confirm your WHM/cPanel installation is licensed correctly. Enter your VPS IP address and you should see output similar to this. Let’s test your WHM installation. Open up https://YOURIP:2087/ in your favorite browser. You should be prompted for a username and password. Enter root for the username and the password you set earlier in the process. Now you will be guided through the WHM Initial Setup. I am not going to go into great detail here. Linode has a thorough document on this process which can be found here. Step 2(a) Networking – Enter your e-mail address and any additional ways you wanted to be contacted. Step 2(b) Networking – Server hostname – This must be set to a valid fully qualified domain. This is found in the Linode Manager under Remote Access (#1). Step 4 Nameservers – I prefer to use the nameservers provided by Linode. Click disabled. Below enter the following nameservers. Step 5(a) Services – Linode recommends disabling FTP, I went with Pure-FTPD as I need to read up on SFTP before making the switch. Step 5(c) cPHulk – Enabled with Extend account lockout time upon additional authentication failures checked. Step 6 Quotas – I enabled using file system quotas. If you have no need to track disk usage on a per-user basis you can disable this. On the next screen you will be prompted for additional options and add-ons. Read them over and select the ones you want. You are going to want to read up on all of the options available in WHM. cPanel has a pretty good collection of documentation found here. But for now lets setup your first site. You now have your account created on your new Linode VPS. Submit these changes. It may take hours for these changes to propogate. Log back into the Linode Manager. In case you forgot here you go. You will now see the zone information or your domain. Linode has included a few of the defaults like www and mail for example. If you set up your server with FTP you will need to add that. So let’s do that now. Copy and paste the IPv4 and IPv6 addresses to Notepad. You are going to need them in a minute. After you do that click “Add a new A record”. Enter ftp into Hostname and the IPv4 address you copied a moment ago. Click Save. Repeat the process for the IPv6 address. That’s it, now your domain is ready on your new Linode server. I’m going to assume everyone reading this knows how to install WordPress. If not here is a quick overview. 2. FTP to your Linode server. You will probably need to use the IP address since the DNS changes may not have propagated yet. You will find the IP address, domain username, and domain password in the account creation e-mail you received a bit ago. 3. Upload the WordPress files to the root directory (or subdirectory) on your Linode server. Again this depends on how you previously had your WordPress setup. Ex. My WordPress site is www.easyslowcook.com so I upload wordpress files directly to public_html. Ex. My WordPress site is www.easyslowcook.com/blog so I create a directory “blog” under public_html and upload the files there. 5. Follow the MySQL Database Wizard and create a new user, password and database. Write this information down you will need it later. When you get to the privileges screen select all privileges. You should see a screen similar to this when you are done. 6. Now install WordPress. Open your browser to http://IPADDRESS/~username/ and you should see the WordPress installation screen. Like this. Continue with the WordPress installation screens. When you reach the Database Settings fill it in with the information you created in step 5. You should see one more screen, fill in the information required. Click Install and your WordPress installation has now been completed on your Linode Server. One last step! Remember that Migration directory you created on your local machine? Now you are going to need it. Open up FileZilla and connect to your Linode server. Browse until you see the wp-content directory on the left (local) side of FileZilla. On the right (remote) side of FileZilla do the same thing. Drag the wp-content folder from the left side to the right side. You will get prompted “Target file already exists.” To avoid seeing this for each file select Overwrite, Always use this action, and Apply to current queue only and click okay. While your content files are being uploaded. Let’s restore that database. Log back into cPanel on your Linode server and access phpMyAdmin. Select the Database you created a few minutes ago, select “Check All” and in the drop down menu select Drop. You will get asking if you really want to execute this command? Click Yes. Now we are going to Import your old database. Click Import at the top and browse to your Migration directory and select the database file you saved at the start of the migration. Click Go. Depending on the size of your database this may take a while. By now your DNS changes should have propagated. You can check this by opening terminal and pinging your site. If it returns your Linode IP you are good to go. If it returns the IP from your old host you have to wait a bit. Once you start seeing your Linode IP time to finish the last step!Log into administration section of your wordpress site. Click Permalinks -> Restore Permalinks to previous setting. Now that you are managing your own VPS it would be advisable to read up on WHM/Cpanel documentation. Linode also has good documentation and forums. If you have any questions please feel free to leave them in the comments. Or contact me on twitter @zachgeek or via e-mail. 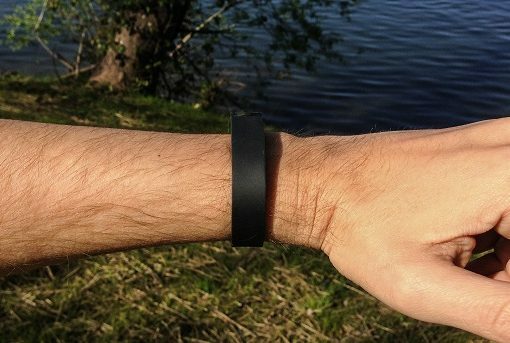 This post contains referral links. I am still paying off those student loans. Wow, this is one of the most in-depth tutorials I’ve seen so far. Do you have anything that could help in migrating the same SSL certificate that we had on the previous hosting provider onto the Linode? Hey Pavan, hope you found the tutorial helpful. Unfortunately, I do not have a guide on transferring a SSL certificate to Linode. I did however find this post which may be helpful.